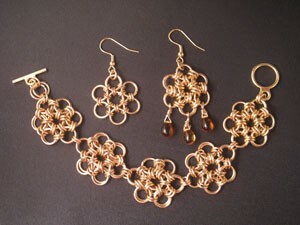 Japanese Flower Chain Maille Bracelet & Earrings! Fees: $69 » including all materials and printed instructions. A variety of metal colors will be available. or call 310-944-1299. Class size is limited to 6, so register early!